Well EEs the end is near…We are down to the final weeks of May! As you know, the final month is challenging in a different way than the other months. By now, students understand the classroom rules and procedures and they also know the daily schedule in their sleep, but there is still a huge challenge to keep them from “unraveling” as end of the year countdown gets to 30 days and less. The higher the level of engagement, the lower the level of off task behavior. One of my favorite ways to maintain engagement was to revisit activities that I did throughout the year, but in different ways. One example of this was with science. You probably did the typical sink or float experiment with random items from the classroom and/or outside right? Yep, I did too. 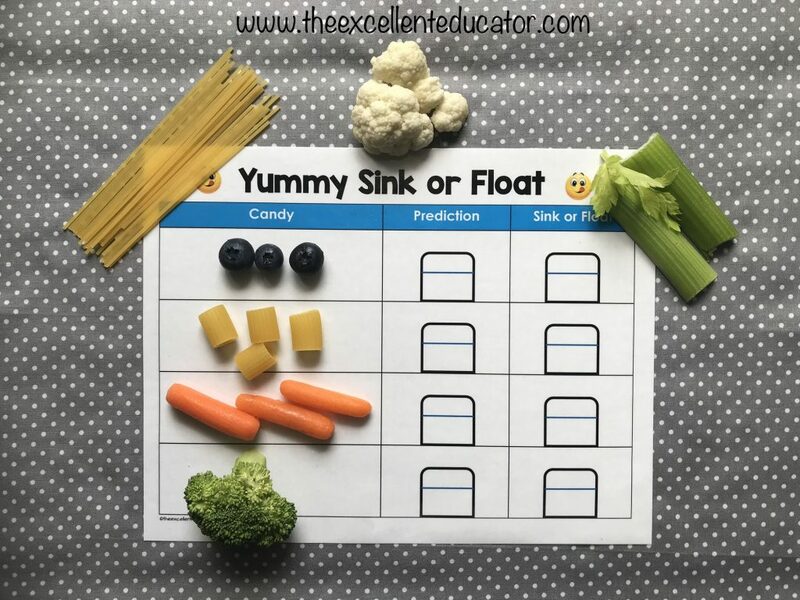 So by the end of the year, your students have an understanding of the vocabulary words “sink” and “float” and they have background knowledge of what they mean. 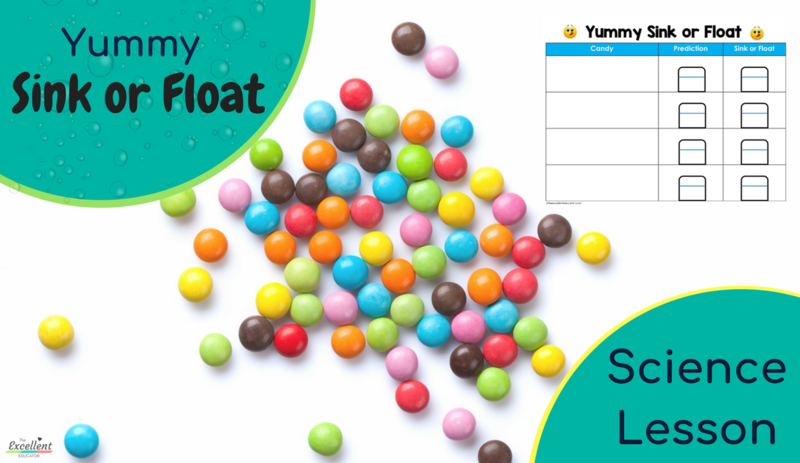 We did different rounds of something I called Yummy Sink or Float. This consisted of us hypothesizing and testing different food items to see what would happen when we placed them in water. During our first round, we tested different types of chocolate. We used a recording mat to record their individual predictions and the results. From there, I allowed the curiosity of my students to determine what we would test next. Some students wanted to try different types of mini candy bars and others wanted to try different types of fruity candy. Believe it or not, this activity evolved over the final few weeks as we tested the different things they were curious about. One student even wondered how different types of food (pasta, celery, pretzels, etc.) would respond to being in water, so our experiments evolved again from candy to food. I encourage you to try this. Even if you are beginning to condense and pack materials as the year comes to an end you can still easily do this. 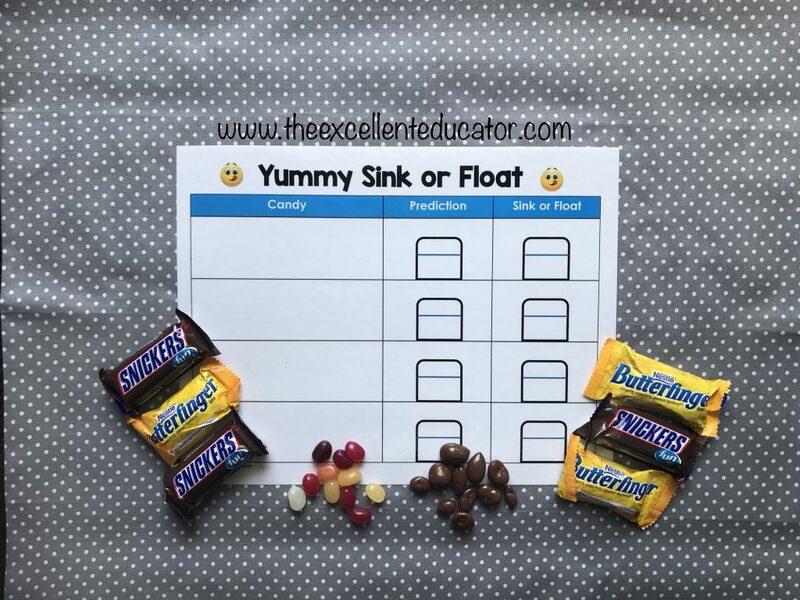 This sink or float remix will spark curiosity, maintain engagement, use minimal materials and also serve as a yummy reward! The concept of keeping students motivated until the very end is instilling in them a valuable lesson in life more than you can imagine. Keep up the good work and one day it will be revealed to you, the impact of your tireless efforts, in all that you do. AGAIN, GREAT JOB !!!!! SHAKARA LYNAE HILL (THE EXCELLENT EDUCATOR) !!!!!!!! !